Design Your Own Globe !!<>!!!!<>!!New!!!<>!!!!<>!! Click Here To View Wood, Finish Handle & Leather Options. 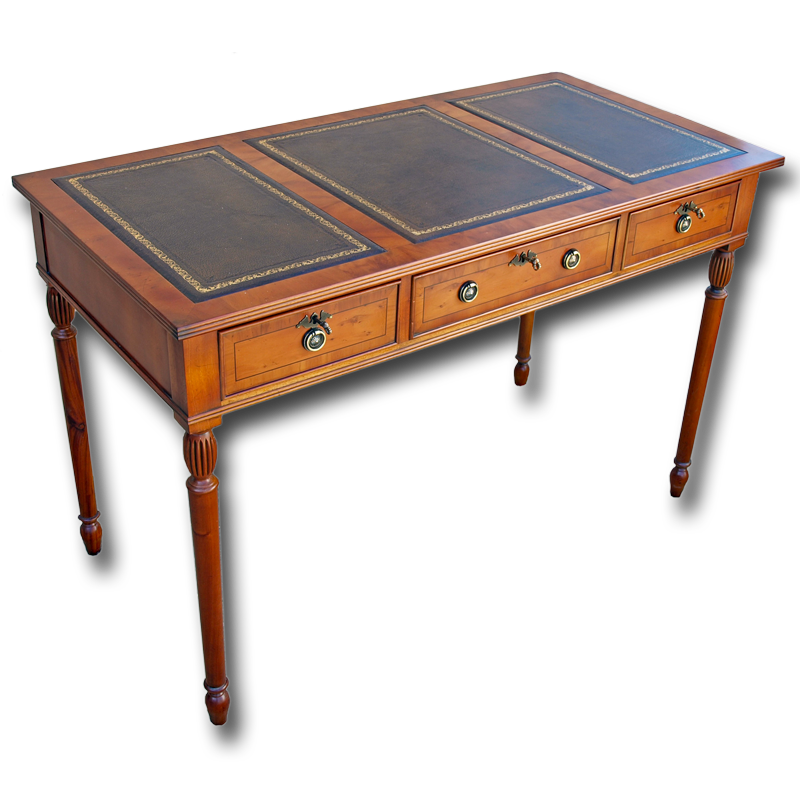 Beautifully finished reproduction writing desk featuring 3 drawers, hand laid leather inset and superbly turned legs. In Stock in mahogany and yew woods awaiting your choice of finish, leather & handles. We endeavour to hold as much stock as possible to reduce lead times. Items in stock can be polished, prepared and delivered to most areas within approximately 4-6 weeks. Some items supplied are made specifically for our customers. Please allow up to 10 weeks for delivery. Deliveries made to Scotland, Wales & south west England may take an extra 2 weeks. If you would like specific delivery or stock information regarding any item(s), please call or email before placing an order. Most items are delivered by our own staff and vehicles, fully assembled and blanket-wrapped. Please ensure adequate access and parking is available. After your order has been placed you will be contacted around 1 week prior to delivery. You will be offered a date and a 2 hour time window for delivery. There will need to be someone present for delivery and assistance for our driver if required. We only offer a downstairs delivery service unless adequate assistance is provided. All deliveries are performed by our own staff and vehicles, ensuring your purchase reaches you in perfect condition.All items are blanket-wrapped and driven from us to you meaning minimum handling of your furniture. None of our products have a delivery cost built in to the price as this unnecessarily increases the costs to those who are local to us or would prefer to collect. 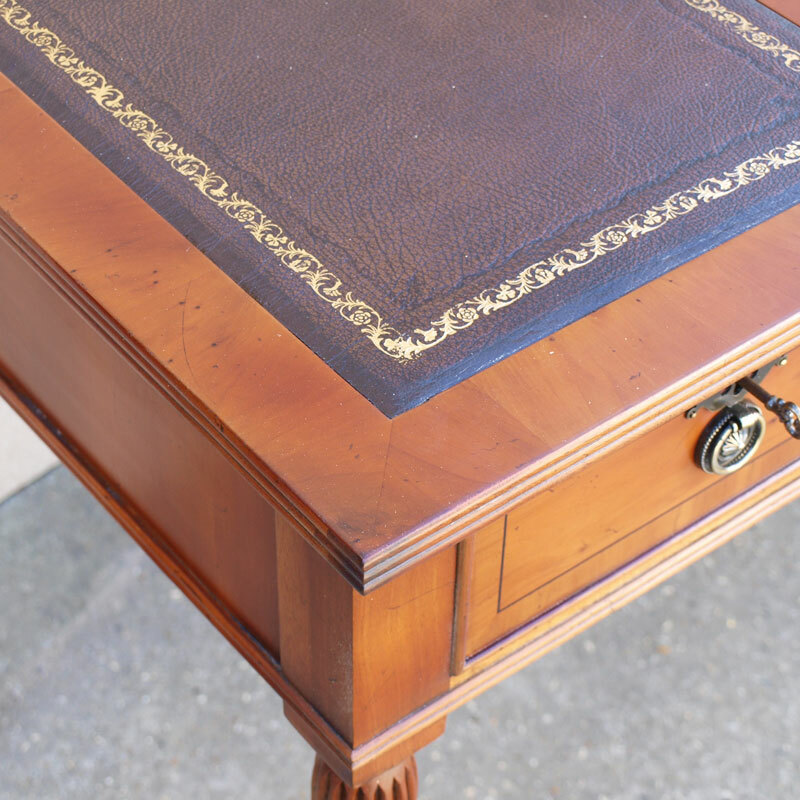 Superbly detailed 2 drawer reproduction filing cabinet. Features canted corners and bevelled edges as a perfect compliment to desks in our "Superior Desks" range. 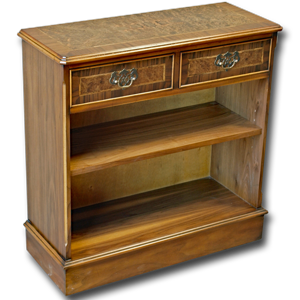 Available in mahogany, Burr Walnut or yew wood. In stock and awaiting your choice of finish, leather and handles. 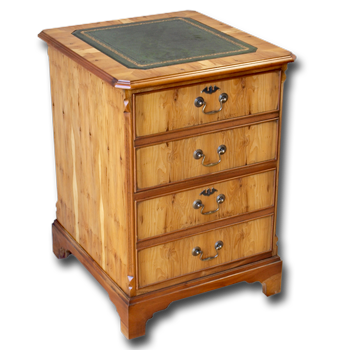 Well made English antique reproduction open bookcase with two drawers and one adjustable shelf. 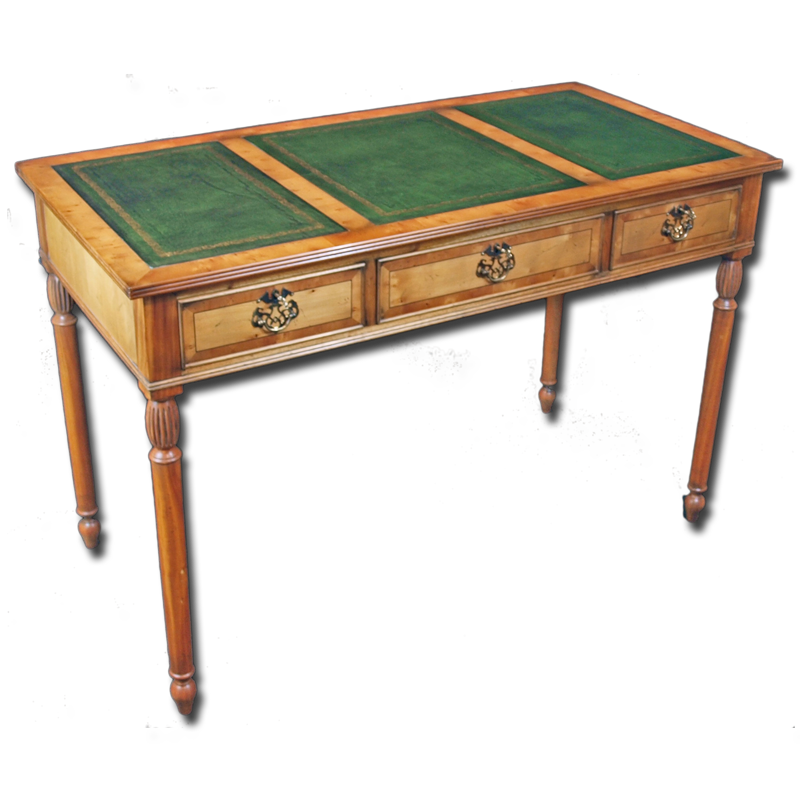 Available in Yew, Oak, Mahogany & Burr Walnut. Bespoke versions of this bookcase are possible - please ask. A simple yet elegant and classic design. This reproduction leather office chair offers excellent value and would compliment any of our desks. Fits nicely within the kneehole of all our desks, 4'x2' and larger. Available in any of our mahogany, yew or oak wood shades or to colour match to your existing desk. 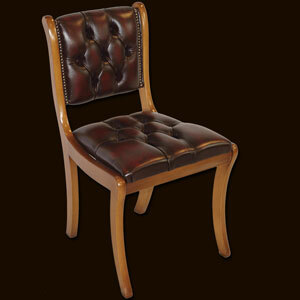 Chair shown is finished in our light mahogany with an antique tan leather.